Micatron Sdn. Bhd. was incorporated in 1990 and operates from its base in Penang, Malaysia. The company focuses its business in electronic lighting equipment, gears and accessories for domestic as well as HID lighting. 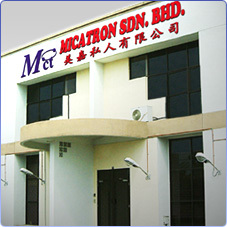 Micatron Sdn. Bhd. prides itself in being the Pre-eminent Electronic Ballast Manufacturer and Technology Leader in Malaysia. Micatron Sdn. Bhd. 's broad customer base includes numerous government buildings, major semiconductor factories, multinational companies, small / medium enterprises, utility companies as well as a web of major distributors and dealers.